UPDATED: 1/17/2016 Sandy Powell has been nominated both for her work on Cinderella as well as Carol, both starring Cate Blanchett. 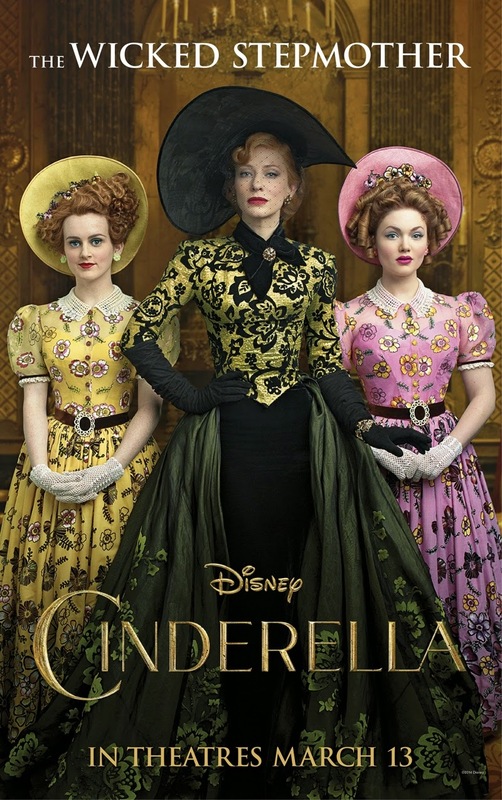 I bit the bullet and went to see Cinderella this week and I'm still conflicted about the overall message of the movie. 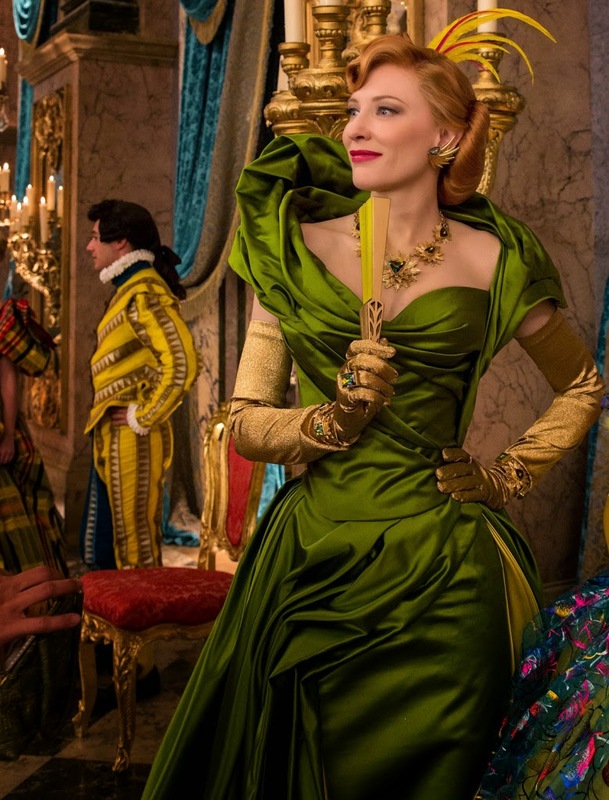 One thing I'm not conflicted about is the utter gloriousity of the costumes! We can talk more about the clothing in another post but for today's Sunday Slacker video, I've got an interview Variety did with Cinderella's genius costume designer, three time Oscar winner—for Shakespeare in Love, The Aviator, and The Young Victoria—Sandy Powell. It's just shy of five minutes but for fellow costume design aficionados, it's five minutes of heaven. Powell says that she and Cate Blanchett looked to the fabulous film stars of the forties for inspiration; women like Joan Crawford, Marlene Dietrich and Greta Garbo . 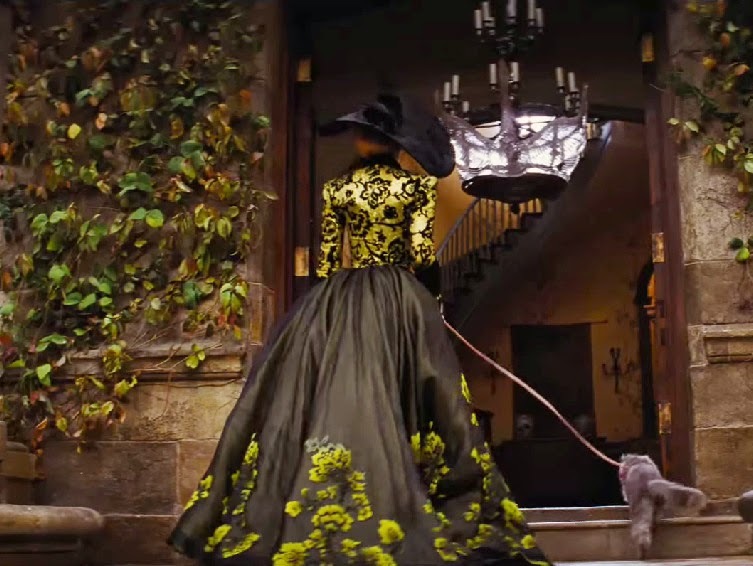 "I wanted her character to be sophisticated and elegant almost like a fashion plate because I think there is something rather intimidating about the woman who is perfectly dressed, you know, from head to foot, perfectly, impeccably dressed. There's something a little bit scary about that." Cate Blanchett, scary? Ya think? 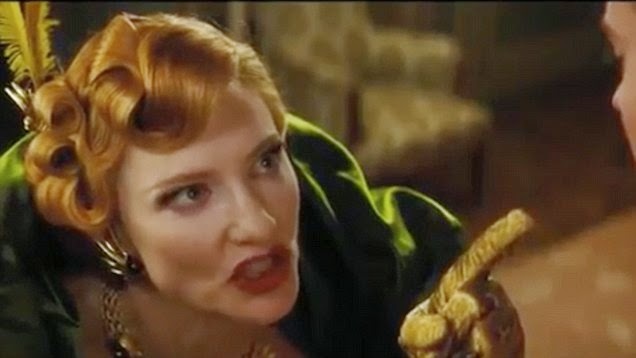 She's got the Joan Crawford in Mommy Dearest look down, in this shot, with her 1940's era make-up and that gold finger wagging furiously in Cinderella's face. I don't see how Cinderella's blue ballgown—no matter how stunning and extravagant—could take 500 hours to complete but that's what the designer says!